This tile is produced here in Los Angeles, by Arto Brick. My sister Emily is a quilter (check out her blog here) so I always call this pattern by it’s quilt name, “tumbling blocks”. (Qbert and Escher are also common references with the three-color diamond/hexagon pattern, depending on whom you ask. But I digress.) I love it. Above you can see how that he’s not yet halfway done – it’s a big mural! It will extend all the way to the right, to the tall cabinet wrapped in pink. 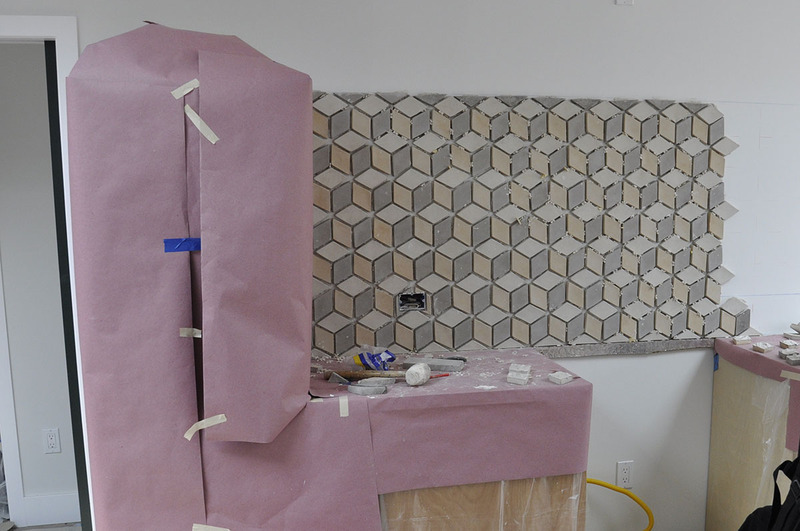 This large tile piece was an important part of the design from very early on, and it’s tremendously gratifying to see it finally coming together so nicely. 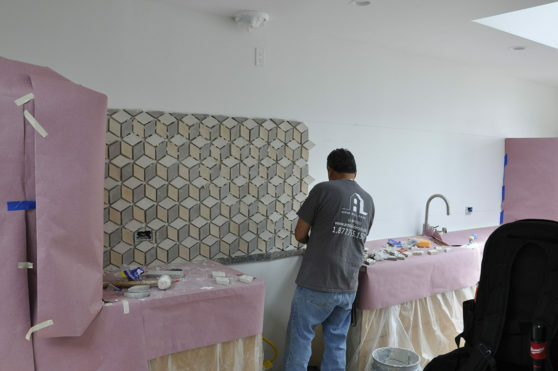 After deciding to forego upper cabinets in this area, in favor of making a special feature of a large tile backsplash, my clients and I debated and discussed many, many options for it. I think this really is the perfect solution. It’s decorative yet simple, interesting, fun, and modern — all the qualities I want my architecture to embody. Update: See the completed backsplash here! 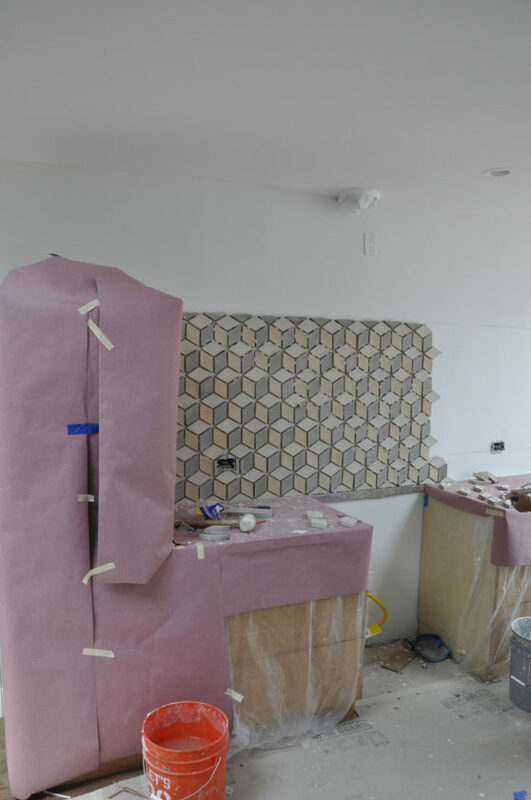 This entry was posted in Oxford Square and tagged Casework, construction, Interiors, Mosaic, Tile. Bookmark the permalink.